Welcome to our April Art Philosophy/Artiste Blog Hop! As you know, both the Artiste and the Art Philosophy cartridges are available exclusively through a Close to My Heart consultant. If you don't already have a Consultant that you are currently working with, please contact one the Consultants in our hop with any questions you have! If you have just hopped onto my blog, please start at the beginning at Lucy's blog – Love 2 Create If you came from " Lucy's blog" – Love 2 Create then you are in the right place! Our challenge this month features not only one of these amazing cartridges but we also have a Mother's Day theme since Mother's Day is less than a month away. Have you started your Mother's Day projects yet? Day gift for your loved one. 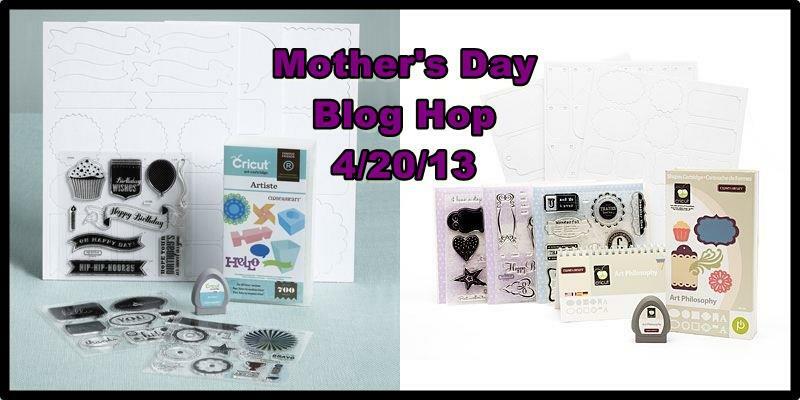 Your next stop on our "Mother's Day" hop is "Wendy " of " My Scrapbooking Blog". Thanks for hopping along with us - we hope we were able to inspire you in creating your own Mother's Day projects! Your scrapbook page is very pretty! Nice use of your canvas. The Everything's ABC's blog hop letter "I"
The Everything ABC's blog hop letter "H"